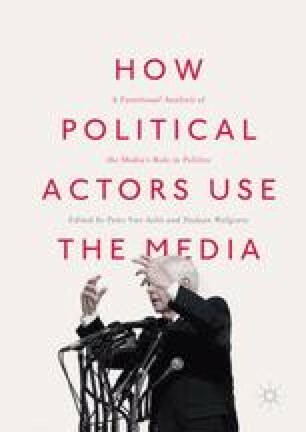 Previous work on media and politics pays little attention to why politicians use the media in their work. This chapter addresses this topic in the context of lawmaking, a fundamental policy making process. The starting point of is the information and arena model: we study whether mass media are a source of information as well as an arena for political communication to Members of Parliament when they are considering bills. The analysis is based on in-depth interviews with legislators in the Netherlands, in the context of three case studies. We find that some politicians use the mass media as a source of information in the context of lawmaking, but that the media is not very frequently used as an arena for political communication.